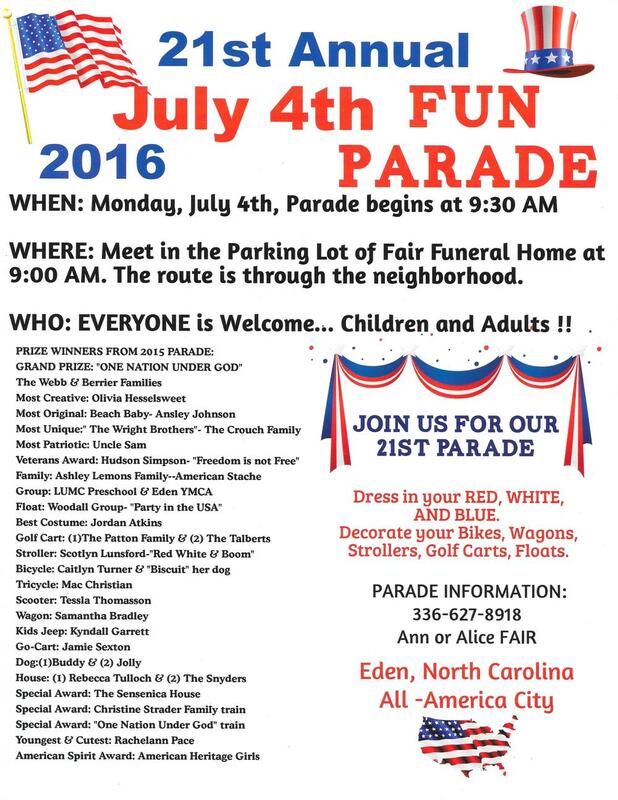 Join Coach Jackie to walk in the 21st annual Fourth of July Eden Fun Parade on Monday July 4. Wear red, white, and blue and bring your racket to walk behind the RC Tennis banner. Meet Coach Jackie behind Fair Funeral Home at 432 Boone Road in Eden by 9:30 and enjoy the parade through the neighborhood. Prizes for floats and watermelon for all.